Hunting has been part of humanity since our first settlements. In our human existence we have be hunters and gathers to as a means to feed ourselves. In modern society, hunting may not necessary to get food because of the prevalence of farming and croplands. It’s still part of many cultures, ethnicity and part of current lifestyles. As the world along with the people in it evolve, the reasons for hunting change just like transportation. Before Karl Benz invented the car motor people relied on horses. People relied on hunting to feed their families until we industrialized farming. Unfortunately due to over construction of suburban areas, we have to keep a balance of wildlife to people. For the reason that deer especially cause a lot of damage to the ecosystem. 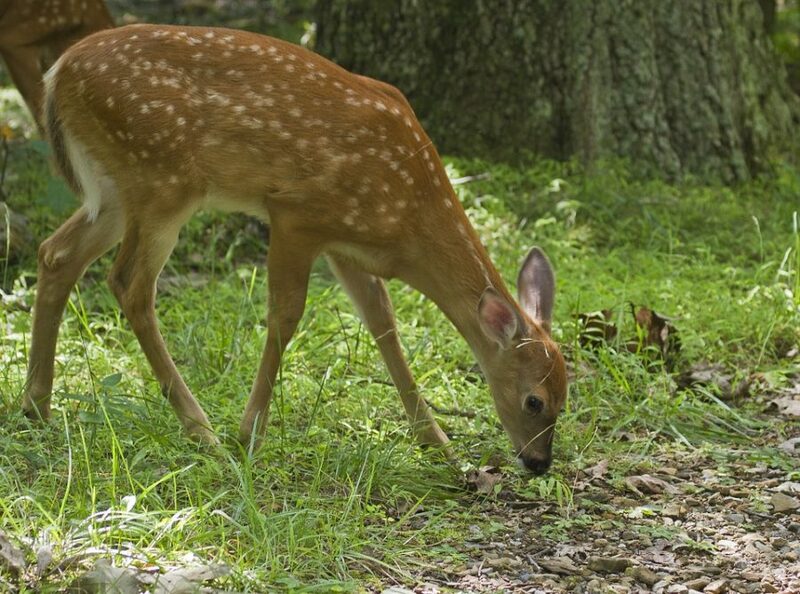 Deer are very opportunist animals that can safely eat more than 700 different plant species. They are also adaptable, moving into communities and suburban areas to find cover, food, and security. The amount of damage they can cause in one day on a single property could total several thousand dollars. Hunting is a way to maintain control of the local wildlife population. Cars and deer make a lethal combination. The United States alone accumulate a collective 200 hundred deaths a year cause by deer-vehicle collision. As the deer community tend to over populate over the off season. Male deer tend to move into communities, and suburban areas during their mating seasons in search for a mate. In combination with an increase of urban sprawl and more roads begging constructed through wildlife habits have displace the deer and animals alike from their natural homes. leading to an increase in animal related accidents around the nation. Estimated 1.23 million deer-vehicle collisions occurred in the U.S. between July 1, 2011 and June 30, 2012. They can cost more than $4 billion in vehicle damage, according to State Farm. Therefor, having a regulated hunting season to maintain the animal population in growing states can help reduce the mortality rate both humans and animals. Mother Nature is a force to be reawaken with. Any well versed hunter knows to respect her powers and her creatures. It is necessary to learn about the outdoors. It gives you a sense of discipline, to respect the very thing sustain your every existence. Without the world and all of it’s fruits we as humans wouldn’t be alive. You must be able to recognize animal trails and habits. You should know how to track animals in case you get lost and have to navigate your way back to help. It is a chance to discover the outdoors in a way that cannot be experienced by watching TV or walking along a well-developed nature trail. Let’s imagine a world of no one hunting just using the resources that agriculture gives us. Eventually, the animal population would out number humans by a lot. Causing animals to move into cities, and towns. Over grazing fields and lawns. They’ll slow deplete the environment, and leave nothing for the rest. With hunting we can not only appreciate every life for what they are, but keep a natural balance within our ecosystem. Hunting isn’t something we should play with. Every state has their rules and regulations to maintain a healthy balance of hunting and restoration be sure to visit https://www.nj.gov/dep/fgw/hunting.htm for more information. The Declaration reserved the rights to not publish comments that are offensive, are hurtful, are in bad taste, are not constructive, or are spam. Tying up and holding down the deer the hunters prepare their kill. Hunting for sport has been debated for over 50 years animal activists argue that it is cruel and unjust, whereas hunters feel it is apart of nature. Hunting for survival has been an intricate part of life since the beginning of time. But Hunting for sport is unnecessary and unjust. It tips the balance of nature and is a waste of an animals life. 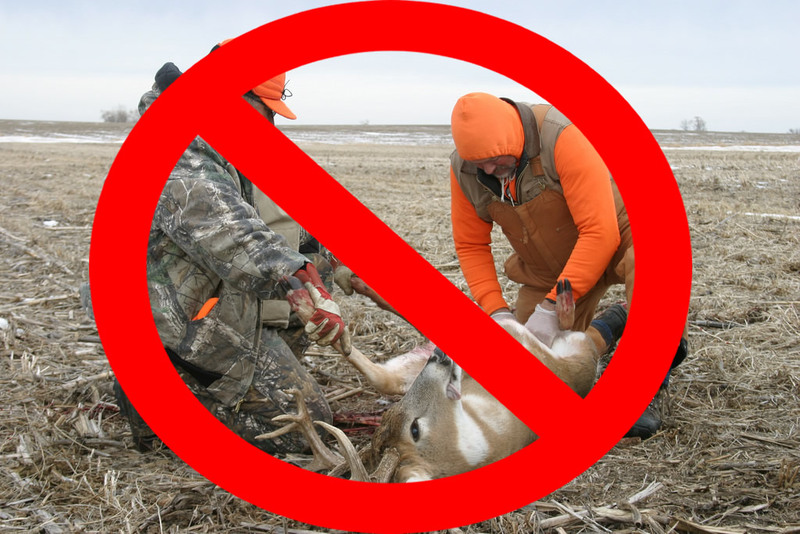 According to PETA (People for the Ethical Treatment of Animals ) here are the top reasons why hunting is cruel and what you can do about it. Many animals suffer painful deaths when hunters injure, and not kill them. Hunters don’t always kill their targets on the first shot and may have to repeatedly harm animals until they fall. According to PETA “A British study of deer hunting found that 11 percent of deer who’d been killed by hunters died only after being shot two or more times and that some wounded deer suffered for more than 15 minutes before dying.” Hunting is harmful to animal communities because it disrupts migration and hibernation patterns and destroys close-knit family units. Ecosystems are a delicate scale that can easily tip. Natural predators help maintain this balance by killing only the sickest and weakest individuals. Hunters kill large, healthy animals that keep the population strong and without them multiple species are at risk. Poaching wildlife especially tusk animals in Africa such as elephants have resulted in animals genetically adapting to their predators and slowly loosing their tusks over time. Even though areas may have overpopulation; nature works its coarse with starvation and disease to balance the ecosystem. Canned Hunts commonly occur on private land set up as for-profit hunting reserves or game ranches. Hunters pay to hunt and kill animals for a “Trophy”. Canned hunts are cruel and unethical because animals are confined to a particular plot of land. They are accustomed to humans, and unable to escape from their enclosures. The animals stocked on the land may be native to the area, raised elsewhere and brought in, or purchased through trafficking unwanted or surplus animals from zoos and circuses. Guides lead hunters to regular feeding stations for quick and unsuspecting kills. Even though many states have limited or banned canned hunts, there are no federal laws regulating the practice at this time. Hunting accidents are more common than most hunters and pro-hunting activists would like to admit. According to the National Shooting Sports Foundation, thousands of injuries link to hunting in the U.S. every year. That number only includes incidents involving humans. Accidental killings of animals such as cows, horses, dogs, and cats along with other wild animals are not part of the statistics. Furthermore, hunters accidentally strike hikers, campers, and even other hunters. Call 1-800-628-7275 to report poachers in national parks to the National Parks and Conservation Association. Educate others about hunting and stay informed on updated hunting laws.